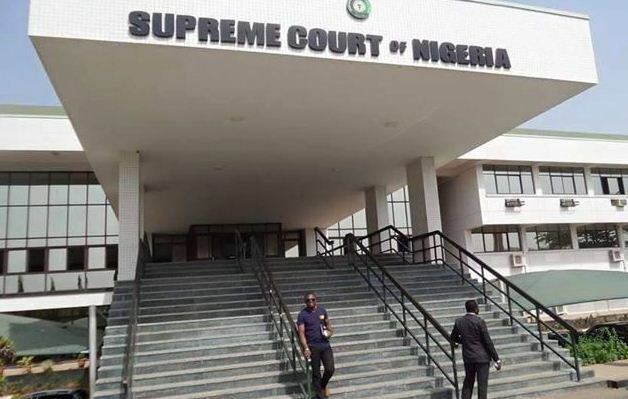 The Senate on Tuesday, October 18, 2016 confirmed the nomination of two Supreme Court Justices for appointment as Justices of the Supreme Court of Nigeria. The duo confirmed include Hon. Justice Ejembi Eko, JCA, North Central (Benue State) and Hon. Justice Amina A. Augie, JCA, North West (Kebbi State). The confirmation was sequel to the presentation of the Report of Senate Committee on Judiciary, Human Rights and Legal Matters by the Chairman of the Committee, Sen. David Umaru (Niger East) before the Senate for consideration. The Chamber resolved into Committee of the Whole and considered and approved the report. Thereafter, the law-makers voted electronically for the confirmation of each of the nominees. Each of the elevated Hon. Justices of the Supreme Court was confirmed following votes cast in their favour. In fact, each of them secured 39 votes in support of their confirmation while 1 abstained. The Deputy Senate President, Ike Ekweremadu, who presided over the day’s session congratulated them and wish the duo well. Similarly, the Upper Legislative Chamber has also deliberated upon and passed a Motion titled “A Call on the Federal Government to expedite action on the planned 2018 National Census”. The motion was sponsored by Sen. Sulaiman Hunkuyi and four others. According to Sen. Hunkuyi, Section 24 of the Third Schedule of the 1999 Constitution (as Amended) empowers the National Population Commission (NPC) to undertake the production of Demographic, Socio-economic and Health Data of Nigerians through the conduct of Census Surveys, Vital Statistics, (Registration of Birth, Deaths Migration etc.) and other related activities in Nigeria. Sen. Hunkuyi added that the importance of Census in the life of any nation is its socio-economic and development planning. He noted that it is in the realization of these objectives that the United Nations Organization (UNO) recommended that Census be conducted every ten years. 1) Call on the President of the Federal Republic of Nigeria to issue a Proclamation for the holding of a National Population and Housing Census in 2018. 2) Call on the Office of the Secretary to the Government of the Federation (SGF), the National Population Commission, Ministry of Budget and National Planning and any other supervising Agencies to make adequate provision in 2018 budget as a critical prerequisite to achieving 2017/2018 National Population Census.